Wrinkle reduction is a goal of many men and women who want to look and feel their best. 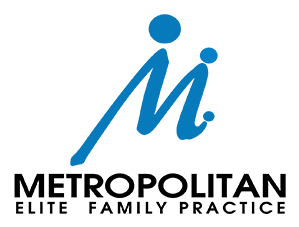 At Metropolitan Elite Family Practice, Dr. Linda McGee and the experienced staff offer several treatments that help reduce the appearance of fine lines and wrinkles, so you look as young as you feel. Men and women in Laurel, Maryland, should call the office or schedule a consultation using the online tool to find out more about the wrinkle-reduction strategies that are available. How can I reverse the signs of aging? As you get older, repeated facial actions that occur when you smile, frown, or look inquisitive can etch creases, wrinkles, and lines into your face. Plus, your production of skin-strengthening compounds, such as elastin and collagen, decrease over time leaving your skin looking aged. At Metropolitan Elite Family Practice, Dr. McGee offers Botox® injections to reduce the muscle action that causes lines on your forehead, between your eyebrows, and around your eyes (crow’s feet.) Dermal filler injections can plump your skin to fill in lines, wrinkles, and hollow contours. You can also undergo wrinkle reduction with the Icon™ Aesthetic System to address wrinkles, such as marionette lines around your mouth and nose as well as frown lines and smile lines. How does the Icon laser reduce wrinkles? Just one treatment with the ablative fractional laser technology from Icon laser reduces the appearance of lines and wrinkles. The energy penetrates deep into your skin, stimulating the regeneration of new skin as well as increased collagen production to tighten your complexion. How long is recovery from these wrinkle-reducing treatments? Botox and dermal fillers require no recovery time, and you see results in just three to seven days (Botox) or immediately (dermal fillers). With Icon, your recovery period lasts as little as four days and you won’t have any of the effects of invasive surgery, such as incisions or blood loss. All of these treatments preserve your natural look, but give you a brighter, younger appearance. People won’t know you’ve had “work” done. Instead, you simply become a younger-looking version of you. How long do the effects of wrinkle-reducing treatments last? The effects of Botox last three to four months, after which you need retreatments to maintain your look. Dermal fillers last up to 18 months but also can be retreated. Icon laser treatments offer permanent results, but can’t halt further aging – so treatments every year or so can help keep you looking youthful. Botox and dermal filler injections do require the use of a very fine needle, so you feel pinching during the treatment session. The treatments are quick, and most people tolerate the sensations very well. The Icon laser does create a tingling or snapping sensation during treatment. Many people liken it to the snap of a rubber band against your skin. 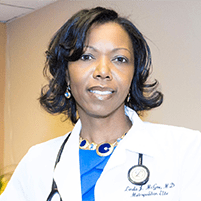 Following treatment, Dr. McGee offers cold compresses to relieve discomfort. To learn which wrinkle-reducing treatments are best for you, call Metropolitan Elite Family Practice or book an appointment using the online tool.